Lee: Hello and welcome to the fourth episode of the Hyper Wellbeing podcast. On today’s show we have Ardy Arianpour. Ardy is the CEO and co-founder of Seqster. Ardy is a visionary genomics executive and serial entrepreneur in the biotech industry. Prior to starting Seqster, Ardy launched several clinical and consumer-based genetic test as CCO of Pathway Genomics and SVP of Ambry Genomics that sold to Konica for $1 billion in 2017. He is one of the main architects in launching the first commercial clinical exome sequencing test in 2011, establishing the value of next-gen sequencing in the clinic. As a key player in the 2013 landmark SCOTUS decision scrapping gene patents, Ardy played an instrumental role in expanding genetic testing accesss. Ardy received his BS in Biological Sciences from UC Irvine and an MBA from Marshall Goldsmith School of Management. Lee: Hello and welcome, Ardy. Ardy: Thank you so much for having us, Lee. A pleasure to be on your podcast. Lee: Well, I kept seeing Seqster. It just kept coming back to me via various channels and then I took a look and I thought, “Hey, there’s something interesting here,” and reached out to yourself and then just before we started talking, you kindly give me a tour of the platform and I must say it’s much more impressive than I’ve saw in articles or looking at the website. I think people really have to see it to believe it or to quite understand how powerful it is and genuinely, genuinely how good it is. I appreciate that demo because it really just — It’s the best I’ve saw. Ardy: Thank you so much. We’re so humbled. Our highly sophisticated engineering team has put their blood, sweat, tears, and DNA in making something for the people, by the people. Lee: You mentioned 25 engineers. Did you decide at the outset with Seqster to solve medical record interoperability? Ardy: Yeah. Great question. We started on this venture early in January of 2016. We have the idea for quite some time. It really came upon from the inspiration of me having my whole genome clinically sequenced back in the day before anyone knew what exactly that was and really understanding that your genome and DNA doesn’t mean anything unless it’s paired with your electronic health records. Ardy: When we kept digging a little bit longer on how to combine EHR data with your DNA data and obviously adding and layering and fitness data, we realized that, wow, there’s some real big problems with an EHR data. We kind of fell on this accident path of solving interoperability from a consumer angle and just amazing things came when we kept to that mission of wanting all of our health data in one place so that we can collect, own and share on our own terms. Lee: Also, it says, “The only health data management platform capable of aggregating, standardizing and harmonizing all of your health data and allowing you to share on your terms”. What you’re saying Seqster is, is it’s a health data aggregator which includes medical records, DNA, fitness and nutrition. Is it the only platform? Ardy: Yeah. Currently, it is the only platform that has the nationwide scale, that we have been able to build here and what you just saw. The reason why it is so powerful is because we’ve been able to include diverse multi-dimensional data and multi-generational data with lots of different features that we built for the past three years almost here with the Seqster team. More importantly standardizing and harmonizing all these data is actually very difficult to do and it’s what we called or what I call the dirty work. Ardy: We’ve done the dirty work that no one company really wanted to do. We put a very beautiful, as you just saw, user interface that was built based off of all of the advice we got from [crosstalk 00:05:03]. Lee: You’ve built a fantastic interface. Ardy: Thank you so much. Ardy: Yeah. Look we love Apple. Who doesn’t, right? I think there’s people that obviously don’t like Apple if they’re on Samsung or something too. 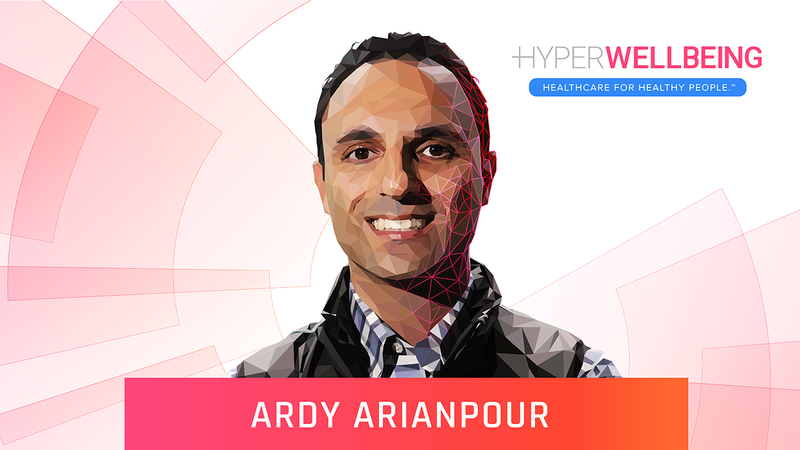 Ardy: At the end of the day, we wanted to build something that’s completely agnostic and we are fully focused on the mission of you owning your health data, you sharing it and obviously you have to have a platform to collect it on. Ardy: How can you have a universal platform if you’re just one ecosystem. At the end of the day, Apple Medical Records is a great program but it’s only for Apple users and if you’re not an Apple user, well you can’t utilize it plus I think there’s just a lot of differences between us and Apple Medical Records and the fact that we’re really interested in deploying our technology from a B2B2C standpoint versus direct-to-consumer. Ardy: There’s various reasons for that. The main point here is that we’re all about not just the individual, but about families actually owning and controlling their health data. That’s why we just launched our Caregiver View feature, which is so important because those are the forgotten heroes in health. Lee: I’ll jump to the product offerings you’ve got, but let’s just get it clear. What you’re providing is high quality longitudinal matched data sets. Ardy: That’s correct. We’ve created the platform where users, participants, individuals, consumers, patients, however way we categorize the people, to basically own, control and collect their health data. Ardy: It gets put in a longitudinal format where you can actually connect multiple health systems even if they’re not on the same EHR provider on the backend. We’re able to stitch various different health records together because of the hard work on the harmonization and standardization side on the engineering on the backend that we’ve achieved. Lee: Is this mainly for sick people? Is that the main market? Healthcare today, the existing healthcare is, well, is for sick people and Hyper Wellbeing is about prediction, prevention and optimization, which needs to become a vast new healthcare sector. Lee: I can understand this is very good for those who’ve got large medical records or very sick and it’s more useful the sicker you are. Would you agree with that? Ardy: Yeah. Obviously, I think there’s various different use cases because when you can control your personal health data, then you obviously have more options. Ardy: Since we really created the platform that lets you collect, own, organize and share all your medical records, DNA, fitness, wearable information really all in one place, which there never has been a platform to bring it all together in one place so seamlessly. Ardy: The chronic ill folks and people who are sick definitely have immediate utility with something like this to help them fight obviously their illnesses. We’re all about empowering patients with various different illnesses. Lee: I can definitely see where like an oncology patient badly needs this product. So they’re not walking about buildings with an MRI disc for example. Ardy: That’s right and look I think you hit on a huge point there. Obviously, within oncology you can get, you want to get second opinions. You want to share your information with love ones and then obviously you want to contribute to research too. There’s lots of opportunities that open with the platform like this and your health information can be a matter of saving life or death really and it’s key to your care. The more information about your health, the better off you are and there’s just various different use cases that fit in to the chronic illness. But getting back to the healthy people, I think we built something that also hits on the healthy side and obviously most people are healthy first and then they become sick. Lee: Well, most of the population shouldn’t be sick. Unfortunately, more than half of America has metabolic syndrome, if measured properly. Because of the way we’re eating and living we are … Most of the population is actually diseased even if they’re not expressing symptoms that are plaguing their life yet but healthy isn’t really healthy today, if that makes any sense. Lee: People who consider themselves healthier just saying, “Hey, I don’t have symptoms that are noticeable and causing me distress.” That’s what we’re labeling healthy at the moment. Ardy: That’s right and I think this is exactly why we need a dashboard for our health and we have dashboards for our finances. We have dashboards for our cars. How much oil you’ve got in your car, how much gas and how fast you go. We’ve never had dashboard for our health, for our net health. How do you measure our own net health and there’s so many wearables and directed consumer DNA testing offerings and obviously all this data being siloed. All we’re doing, Lee, is shedding light on this dark data matter so that you can have not just the 30,000 square foot perspective on your data, but you can actually drill down and get granular to various different things within your health data. Lee: I think the future of health is data. In 2015, I could see that there was a third-computing revolution underway and that is when man and machine are converging and the convergence of humans and machines is producing a new data class. A class I coined intimate data because it’s wider than just health data. It is data that is captured from within body on body, proximal to body or from sensing and quantifying attributes of our life and lifestyle, all of which impact our wellbeing. That’s the definition of intimate data. Lee: I think the intimate data is going to become the foundation of — It could even go as far as a global economy if we move the global economy to be more in alignment with wellbeing because if an economy isn’t there for wellbeing, I don’t know what an economy is there for. Lee: What you’re saying is you also see the rising importance and availability of, I don’t want to say health data because this is lifestyle also and also like emotions via effective computing. You also see this individuals gathering more and more data, not just episodic data but continuous data. You’re building a company to aggregate that data. Ardy: Yeah. I think you hit it right on the nail on its head. It’s actually that we’re enabling people to gather their baseline data, episodic EHR data and continuous monitoring data all in one play. Lee: Yeah. You were just trying to hit people where most people understand today. The people who are probably most driven to use this to begin with, I imagine, are people who are having to go around multiple institutions et cetera or don’t want to keep writing down on a piece of paper what the doctor said or what test they had, which people do. I imagine that’s more of the current market. I do see you longer term being an even bigger aggregator of what I’ll call continuous data. Ardy: That’s right. Yeah. I think there’s some immediate pain points that we are just able to solve by just having all your passwords not dissociate it in one place. Not that that’s why we built the platform, but the magic that happens on the backend with the matched longitudinal data from various different sources is there really a power of Seqster. We keep pouring more efforts into making that even stronger by adding more institutions, more data points, more wearables so the more you can pull in for these individuals, the better obviously those data [crosstalk 00:15:04]. Lee: Obviously, the network effect. Lee: When I first looked at Seqster, I assumed it was just an electronic medical records plus genomics and nutrition and wearables et cetera, but when you give me the demo, I could see that I could also have lab results. Can those lab results be from the likes of LabCorp or Quest? I order directly like direct-to-consumer-type relationship, i.e. not through a medical institution because I was sick to begin with. Ardy: That’s right, yeah if you have ordered something from LabCorp or Quest, we can pull that data in just like how we just showed you a couple of minutes ago. It doesn’t have to come directly from the institution. We built the technology so that we can actually tap in to the various different providers and that [crosstalk 00:16:04]. Lee: Well, I’ll tell you how I’m working at the moment, which isn’t great. It’s why I’ve got interest in your company is I am using spreadsheets or Airtable to store my health data. It’s not very nice trying to match up timelines et cetera or swap units over or having to input data from PDFs into a spreadsheet and it just doesn’t give that robust feeling and it’s kind of a bit dirty when you share it because you’ve named the columns how you wanted them et cetera. I just wanted something where ideally would have a concierge service where if it was a PDF I could just email it, but I can accept typing in myself. I wanted something that would convert the units because different labs use different units so it would unify it and I’d want something that was guaranteed robust storage, I.e. you’re not going to disappear and even if I stopped paying, I can still export my data. Ardy: That’s right. I think it goes back to the standardization and the reason why we’re able to enable all the points that you just mentioned is because the standardization data that happened on the backend and obviously having one secure place where it is housed digitally is what’s important so that you can actually take it wherever you are. The same way that you have your photos obviously that are so important to you digitally on the cloud. It is the same way. Lee: Something seems quite odd here in that I always imagined that it was a role of government to house such data and I just get the complete impression this is not the future. It’s not what’s going to happen. It is going to be the likes of your private enterprise. Ardy: I think there’s a reason for that. Ardy: I think the main reason is the silver lining of startups and entrepreneurs and visionary folks move fast and the government has bureaucracy and red tape and by the time they want to do something like Seqster, it will be like 2035 and they’ll waste hundreds of millions of dollars not getting to where they needed to be where you can take a ninja team of 25 people, spend two or three years of your life and actually create something that can be for all of us. Lee: The perfect company to acquire Seqster. I know you’re just out of stealth, I think in February this year so you might not be thinking about this, but I would say it has to be Amazon. Lee: In my opinion, this has to go large at some point. When you gave me that demo before we hit record, you clicked on glucose and yeah, it was harmonized and what I mean by that is the person you showed me had been tested at different points in time by different providers but yet the graph just consolidated that so it just appeared magically as if it being from a single provider but with no effort on the user front. That was very nice. Ardy: Yeah, exactly. Yeah. It’s so hard obviously for the audience to understand what you and I are maybe talking about but most people have more than one health system and if you have let’s say a cholesterol or blood pressure data points from more than one health system, how do you put that on one chart? Lee: It’s just too much work. That is why after years of it I’m still hacking away using spreadsheets and never fully completing them plus I like it more in my mobile device and immediately available. Lee: Anyway, I was going to, because I need to get off spreadsheets, I was going to use a company, a small company called, headsuphealth.com then, I noticed that they seem to pivot at least in our homepage and more make out that they’re for keto, which I guess is a good market, ketogenic diet support. But they are also an aggregator, they claim, of all your health data. You’re aware of headsuphealth.com? Ardy: Yeah. We are very familiar with, I would say all the players in this space. Other than that, we wouldn’t have been experts with what we built and one thing to note is there’s a lot of me-toos and there is a lot of various different companies out there saying that they can do what we built, but once you look under the hood, you’ll realize that they’re using other technologies with just a front end raft where we have actually created the technology of what I just showed you in-house. Lee: Do you think, Heads Up Health are using human API? Ardy: Oh, yeah, absolutely, we know they are. Lee: Oh, I wasn’t aware of then. Hey, I remember back in 2008, Google launched Google Health and that was also to give you access to your health records but Google discontinued that because nobody used it in 2011 but Microsoft also have their HealthVault and as you know Apple also have their health records but I think Microsoft HealthVault is the same. It just doesn’t store genomic information, if I’m right. Ardy: I think what’s interesting about this whole arena from Google Health to Microsoft HealthVault to Apple Medical Records is the fact that their timing of getting out was not ideal and they’re taking a different approach. Ardy: They weren’t taking a real consumer approach to things. Obviously, Google Health shut down and then, I’m not sure if they’re doing anything yet or maybe they will be because Apple is getting into it obviously and Microsoft has something with the HealthVault that’s for businesses, it seems like it looks like it’s more of an enterprise type of thing but you don’t hear much about it. They haven’t actually harmonized and standardized health data on the backend from what we know. Lee: … but those sound simple words until you see them but I didn’t know. I tried to get a login from Microsoft HealthVault and it didn’t seem to go anywhere. Ardy: Right and we’ve done the same. I mean, up to our knowledge they have not and another thing to differentiate actually between all of these players and us including Apple is again the fact that we have nationwide coverage of close to 3,000 hospitals integrated into Seqster. Lee: How did you get that? How did you get the hospitals to agree to them? Ardy: We built the technology where we concentrated on McKesson, Cerner, Epic, Allscripts, [crosstalk 00:25:24]. Lee: The major electronic medical record providers? Lee: I don’t get why the institutions agreed. I read a great book, An American Sickness and she makes a very good case, that the healthcare sector is very much reluctant to share data and most of it to protect commercial interest and institutions see the data as an asset, which they want to keep control of. I’m wondering how you got this network up and started – what was your sell point? Ardy: If you’re familiar with Mint.com for finances, we took that same approach of putting you, Lee, the person at the center of healthcare, disrupting those data silos bringing it together because by law under HIPAA law, you own your health data and you can go into any of your portals and information and download your raw data. Lee: Is this the patient portal code I hear people talking of that you can request a patient portal code. Ardy: If you have gone and seen as a physician by law actually, if they have a patient portal, you can actually request a code and register so that you can actually download your raw data but that raw data unless you’re a highly sophisticated bioinformatician or engineer, it doesn’t mean anything to you. We’ve done this. We’ve pretty much automated the process and built a machine learning EHR, I would say, retriever where we’re able to put you again at the center of your health, disrupting the data silos, bringing on that health data together and then visualizing that data just like how we showed you Seqster at the beginning of this conversation. Lee: What about imaging like x-rays, CT scans, MRIs. Ardy: Absolutely. Depending on your health system, some are more sophisticated than others. If that information resides within your electronic health record, then we can pull that information and display that information for you. If it does not exist, then what we’re doing is on our roadmap, we have scanning ability and importing ability from the product end being developed so that manually you would be able to import and add to your overall health information or health record. Lee: Do you plan to offer a concierge service where people can give you actually a printout and you have people manually enter it? Ardy: Kind of. It’s more around the fact that if you have, let’s say, printout of your labs that were not in a health system or institution where you can actually tap into it digitally, well, how are you going to get that into your full profile? The only way is to actually scan it and upload it. Lee: Can you explain chain of custody, please? Lee: … data that goes with that chain of custody to prove it. Ardy: That’s right, yeah. The chain of custody comes directly the same way that from finances, its chain of custody data, it’s your bank accounts when you add it. It’s not, well, if you add another zero, well, guess what, you’re going to be richer in your bank account. It’s coming directly from the source. Chain of custody equals directly from the source, from the provider directly, from the institution directly, from the DNA lab directly, from your wearable watch or device directly instead of you putting self-reported data or scan sheet in. It has different value. Lee: It’s must be quite challenging on the backend having a long-term large storage data, I.e. genetic data and then continuous data coming from wearables. That must be a challenge in the backend because there are massively different data types. One is small and very periodic, some variables are sending a lot per second. It must be quite an engineering challenge in the backend those two that types of data. Ardy: Yeah and short answer, Lee, we never want to do it again. I mean, if we knew it was this hard, we would have never I think began on this venture but we’re so glad that we are able to have an aha moments, a significant technical breakthrough to be able to put it all together seamlessly, frictionlessly the way that we showed you. Lee: Yeah. I want to ask you about engineering side of it but I won’t because I know you can’t divulge that. I remember Apple acquired Gliimpse. I think it was 2016. Gliimpse, if I read it, is “healthcare’s platform for patient data by unlocking patient data silos we aggregate fragmented data into patient on longitudinal health profile”. They clearly were aiming at something very similar. Do you have any idea why Apple don’t seem to have moved with Gliimpse or at least appears that way? Ardy: I mean, what I can share with you on that is the fact that Apple Medical Records is a result of that acquisition. Lee: Yeah. That’s right. It just didn’t seem to go far enough. Ardy: Yeah. At the end of the day, I think obviously, if your Apple, you really care about obviously selling more iPhones and iPads, right? That’s their business. They’re not in the business of health. Lee: It would be killer. Ardy: I think it would be a great future. I think it’d be great for the people and you get more engagements. Lee: Finally, on this kind of competitor angle, the only two other companies I know of who have been trying to provide converged medical data is PatientBank and PicnicHealth. Lee: I’m not so familiar with those services but I believe they don’t let you add wearable data, a continuous data and I don’t think they’ll allow you to add genomic data. Ardy: Yeah, that’s correct and I think we recently heard that PatientBank is not even around anymore, don’t count me on that but that’s what we’ve heard. We don’t know much about them but in regards to PicnicHealth, I think there’s some various limitations there too because you can’t get chain of custody to data. Their business model is completely different. Obviously, they don’t bring all these health data together in one place so seamlessly. In less than 60 seconds, a user can aggregate all their health data using the Seqster technology. When we say all of their health data, their DNA data, their wearable data and their electronic health records where we tried PicnicHealth ourselves for our own families when it first came out and lots of problems with their technology. Lee: People have been trying to tackle it but what you showed me was working well and then I saw Eric Topol tweet, within minutes he had connected across for health providers. You’ve seemed you’ve got something working there. What’s the secret sauce? Ardy: I think we’ve had obviously a little bit of luck. We’ve just been working really, really hard and I always give the analogy of if you have a shovel and you keep digging, Lee, you’re going to find some copper but if you have time to dig more, you’re going to find some gold and maybe you get lucky and you hit the platinum before the gold. That’s what happened and that’s where the technical, the significant technical breakthrough on our engineering side came on the EHR end and then we are able to apply that across multidimensional data and multisource data. Layer in, obviously, the DNA and various different fitness wearables and things like that but more importantly, we stuck to the mission. We have stuck to the mission that we wanted something for even ourselves and I think good things come when you stick to one specific mission of having all of your health data in one place. Lee: Are you saying that you haven’t kept pivoting, that you’ve been more focused on what you want or need yourself? Ardy: Absolutely and I think it goes back to if you want this to have utility, who cares if you have all your health data in one place. We were asking that question years ago. It’s the so what but it’s the fact that now you can share it, now you can enable remote monitoring and care. We just launched our Caregiver View. Lee: Let’s talk about the … I think you’ve got three products. You’ve got HealthOne, as you’re calling it, which is your aggregated view for yourself. I think you’ve got HealthTrust, which is about passing it, this is super cool, we should really talk about this, passing it between generations the data and then you’ve got, I am not sure of the name but it’s like a health caregiver or something like this, which is so that you can remotely view the health data realtime with someone you care about, typically a family member. Is that the three services? Ardy: You got it, yeah. HealthOne, HealthTrust and Caregiver View. HealthOne is all your health data in one place, that fast rapid effortless aggregation. HealthTrust, first legal framework for preserving and passing on multigenerational [crosstalk 00:38:18]. Lee: This is super cool. Can you explain that framework? I tell you why this is super cool because a decade ago, I suggested to a good friend who has founded few startups, I said, “Hey, digital objects have value but there’s no legal framework to passing between generations, you should do that.” He didn’t do that. Now, what you’re doing is what I’d call a subset of that, focused on health. How do you go about getting the legal framework? Can you explain how it doesn’t, it probably didn’t exist to begin with? How did you go about that? Lee: Does that because you think it will be used as part of the computation for predictive services – I.e. your grandmother had X, you may have twice as likelihood of the same? Lee: Okay, it is useful for two things. It’s useful for donation to the public at large and it’s of use to you specifically within your family context to know those your … have gene inheritance from. Ardy: That’s right and I think the biggest thing is that we’re able to help society. Like for example, why are … Why is the NIH trying to do this All of Us program? It’s so that you can help the country and society. Lee: Like donating your 23andMe data, but I guess a lot of people will then … It’s super, super data, this multigenerational data in terms of value but I guess I have to ask about the business model. Your business model, is selling that to third parties? Ardy: No, that’s not our business model. Our business model is, we basically deploy our technology so that if you’re a payer or provider or a pharma company or a foundation, if you want to bring value to your members as a benefit tool, then our technology allows that collection, ownership and sharing of that health data. Ardy: Now, if between the business parties and the individuals there’s consent where the users would want to share that data for research or advancing medical science, then obviously that can be enabled, but the users would generate value themselves from doing that. It wouldn’t be the same model as let’s say 23andMe has currently. Lee: Yeah because the model is, what shall I say, being getting questioned? Ardy: Absolutely and for a very good reason it is being questioned. It should have been questioned years ago but I think society is starting to pick up on, “Oh my God. This information is valuable and it’s my health information. It’s my family’s information and I should be doing something with it so that my family and I and society can benefit.” But you have to be able to crawl, then walk and run. Ardy: Part of the problem is, a lot of people are going straight to the running and if you didn’t crawl first, if you didn’t build a collection, mouse trap where you can actually collect data easily and frictionlessly first, you can’t ever do all these other great things that everyone’s talking about. Lee: I always think that it’s strange that in hospitals, because, deep breath, unfortunately I had family members in hospitals for a long time, which is partly why I am doing this podcast but people in white coats, et cetera will come around and take measurements and then scribble them down, but they wouldn’t actually share them with you. It will be like, “Well, what is her systolic blood pressure,” et cetera. I always find that quite strange, very, very paternal when people come around and take measurements then when you go home, you don’t see those measurements. Ardy: Yeah, exactly. There’s a disconnect between what is being done and obviously what is being spent on what is being done and how you actually benefit from it on a daily basis. I think a lot of these things like the wearables that are coming out with new features, the direct-to-consumer testing, all this consumer genomic, consumer wearable stuff is pushing towards this overall arching umbrella of consumer health. Lee: I remember my event I held in 2016, Walter of Doc.ai, he said that, I am pretty sure he said, I want to say don’t quote me on this. I’ll put a link to his video. I’m pretty sure he said that he believes that your health, your medical data, should reside in your smart phone. What do you think? Instead of having like a cloud provider in the middle, do you think that some kind of blockchain decentralized to the smartphone is maybe the model to go for? Ardy: Do you ask any of these companies that have come out saying that they’re using blockchain for this and that? Where is the utility we ask? I don’t even think they know much about it. Lee: I think that I saw a few ICOs where they were claiming to do something similar put all your health data together and they were selling tokens. I haven’t paid so much attention because I have not saw so many, certainly not health ICOs gain traction yet. Ardy: Yes, I mean I think the biggest problem is when you completely de-identify data, then it’s not really worth anything either. When you can match to a person and you can get directly to the source of that data sets, for security, I think blockchain is great, but from a utility standpoint, I think there’s lots of questions that need to be answered [crosstalk 00:45:25]. Lee: You claim to store nutritional data. I guess you’re getting that from MyFitnessPal, from their logs. Ardy: That’s right. We have various different apps that obviously had the user basis that we started early on with integration within the Seqster platform and obviously MyFitnessPal is a big one. Lee: Okay and in terms of genomic services, is that just … That’s not whole genome sequencing services yet, just exome? Ardy: We have, if you have genotyping results, if you have exome, genome is on the roadmap. Any type of DNA data, we can actually pull in to your platform. Ardy: Exactly. Our storage is way different from genotyping to even exome to all the way to genome. Ardy: Again, you have to go where the market is at. You have 20 million plus people that have been genotyped via 23andMe and AncestryDNA and so forth. How many people do you have had a genome sequence so far? Not many, right? Again, you got to go with where the market is. I’m not saying that people aren’t going to be genome sequenced. At some point they will be but I think the genome has hit a halt kind of and that’s due to pricing. Lee: Yeah, it’s still I think $800 is the cheapest I saw. I think 23andMe, I think I heard planning on offering it. Let me give you some thoughts on electronic medical records. Lee: My understanding as I’ve mentioned earlier after reading An American Sickness and some other books was that the electronic medical record had really became the billing record. All it became was instead of being used for patient care, primarily it’s mainly for billing. Lee: In fact, doctors complain constantly that it is full of junk, cut and paste blocks. I remember also from that Walter talk from 2016 he said, medical records are not that useful anyway. We can get that data with a few measurements what’s really important about a person. Is there that much good information in an EMR? Ardy: Yeah, I think just like how we showed you, we thought the same until we kept on digging and digging and digging and seeing really what’s in there and there’s some incredible information on your health obviously within your EHR/EMR. It becomes more valuable when you get it longitudinally instead of just one snap shot from your last visit. One visit, two visits, even three visits don’t mean much but if you take Eric Topol’s example, when he is able to take a look at all of his health data since 1985. Lee: Because in that Stanford medicine poll that they had, only 3% of clinicians thought that it [EMR] helped with disease prevention. Only 2 thought it helped with clinical decision support and only 3% thought it helped with patient engagements. They only thought only 8% of it actually related to clinical matters, which is definitely quite poor. I was wondering, you could maybe use this service to help people, to help consumers with billing, to forecast billing or to find cheaper options. Have you thought of that? Ardy: Absolutely. There is some very unique use cases from an ROI standpoint that are coming to us exactly with what you just mentioned and the reason being is again, once you have all this health data in one place, there’s just so many things that you can do with it and layering in other data that was very easily to get, such as claims data as an example. Lee: Yeah, I want to check if I’ve been ripped off or what’s this likely to cost or could this have been done cheaper if I wish to dispute the bill. Ardy: That’s right and you know, one of the biggest healthcare costs in our country is double MRIs actually. There’s a lot that we can do from a saving standpoint that would actually turn into profitability for various different enterprises at the same time empowering those members to control, own and share their data on their charts. Lee: Have you thought about making your product the platform and having third parties build apps based upon the data? Ardy: Yeah, currently, we are again, a B2B2C platform where if you are any enterprise, health plan payer, provider, pharma, foundation, even home health company, whatever enterprise you are that’s interested in deploying this type of technology to your members, we can do that in a nationwide scale basis. Ardy: We have thought about unique various different features and apps that we can integrate in there, but we’re more interested in building for the customers that are coming to us with their specific pain points. Lee: When are you going to be direct-to-consumer, if ever? As in, I can sign up for example, without an institution. Ardy: Our barrier is from a customer service standpoints, obviously, we don’t want to be in the business of direct-to-consumer just yet. We are in the business of empowering a member-centric entity to utilize this. We want to give it to the people who need it most first. The marketing obviously is a lot different when you’re doing direct-to-consumer versus B2B. Lee: Have you thought about doing health recommendations, because that … You need actions on your data, that’s where I would … That’s the flipside. Ardy: I’m glad you brought that up. Absolutely, we have health insights, we call it. We can give you health recommendations and insights. Lee: [crosstalk 00:52:40] you can do that today? Ardy: Absolutely. We can do that today and there’s a fine line on what you want to give and what you can give, obviously from a health standpoint. Because we can get that DNA info, we can correlate your cholesterol to your, let’s say, running activity out of your Apple watch to your SNP that says, you’re a high endurance runner or whatever that SNP is relating to. Ardy: Just some really interesting things from a consumer standpoint, that’s more interesting than I would say maybe health related but what we found is from our alpha and beta studies, people were finding more information about their health and changing behaviors because of seeing the data. Ardy: It’s not the fact that we can aggregate this data that I think you thought was impressive. If you go back tomorrow and you think about what we showed you at Seqster here today, the visualization of that data, I think actually is even more impressive because we’ve took in something highly sophisticated and made it very simple. Lee: Can you get the data back out as an export? Ardy: Absolutely, we can transfer via FHIR. Lee: Do you have FHIR? Ardy: We can get all raw data and the relational data schema. Yeah, FHIR. It’s a format. Lee: I’m not aware of that. I was thinking about like text files, et cetera but what type of format is that? Ardy: Yeah, I know. FHIR is Fast Healthcare Interoperability Resource. That’s what it stands for. Lee: Nobody is logged in. Ardy: Yeah, that’s right, yeah. What’s nice about that is from a research standpoint, we enable lots of various different things because we don’t have a standard that we live by and a lot of people live by an HL7 standard or various different standards, but at the end of the day, since we standardized and harmonized the data, we can transfer that data as well. Lee: I think I cut you off a little when you were … Earlier when you were talking about HealthTrust, like about getting the legal framework in place. Ardy: Yeah, the HealthTrust again it’s the fact that my data is worth something on its own but it’s – My data paired with my mom and my grandmother’s data is worth a lot more. Not just to me personally, but to society and to various different people that maybe want to research our data. The HealthTrust is a very unique way of preserving and passing on multigenerational data and we worked with Wilson Sonsini and also Paul Hastings, our lawyers, to make this happen and some co-chairs of policy under HIPAA in D.C.
Ardy: It’s just a very unique legal framework mechanism that we built in and it wouldn’t have been possible if we didn’t build the HealthOne first. Going back again, you got to crawl, walk, run. The crawling was HealthOne, the walking was HealthTrust and now the running is the Caregiver View as an example [crosstalk 00:56:19]. Lee: This Caregiver View is kind of, is classic – I’ll call it again – Health 2.0 where, “Hey, you can see the health of a family member and kind of see your elderly mother,” which I don’t mean to mock. It’s just that it’s a well touted user case and it’s a valid one and this system seems good for that from what I saw. Lee: But, actually, “Hey, let’s keep a track on each other’s health just like you visually do anyway. Hey, you look a bit white today, are you okay? Are you eating well?” Don’t you see a future where this transparency of your family members, a little bit like Facebook. Facebook let us what our family are doing day to day even if we’re not geo located with them. Don’t you think that this transparency will work in knit social structures? I just think it will culturally change just like we tweet what we’re doing or Instagram. I can’t help but think that in close-knit, strong social ties, we’ll be aware of each other’s heartbeat, et cetera. What do you think? Ardy: Absolutely, I think, again we’ve accidentally fell on this visionary road of taking health data to a whole another level and including the families was just an eye opener to us where it’s not just about tracking and monitoring your loved ones’ health but coordinating care. Lee: Don’t you think it will be normal to see the physiological measurements of family members or “Hey, maybe they had an irregular heartbeat,” and you get to see it in your dashboard? Don’t you think it will be normal to share that realtime just like we share Instagrams? Ardy: You know, because its health data, maybe you won’t share it publicly, but you would share it within your family. Lee: Within those strong social ties, I can’t help but think that within those strong family bonds, it’s going to become normal to share that data. Lee: [crosstalk 00:59:22] I think that’s a big change to culture. I actually think it could be an order of having a camera built into a phone. You see how that changed culture. I think it could be of that order. Ardy: It definitely can be and I think that’s where families will learn more about their health histories as well. Lee: Then you become more concerted as a family maybe to eat better and mobile phones are going to be gaining more biosensors. Each family member is gaining more data. This is kind of exponential. Ardy: So true, it’s so true. Whether we like it or not, Lee, everything is going towards health data, one way or another. I mean, even counting your steps on your phone count as health data. Lee: This was a splash page I put in 2015 for the event I did in 2016, but clearly something is happening. I don’t think enough people are paying attention to. When I put it there your fitness trackers and workout, sexual activities via algorithms, we’ve got T-shirts that measure your motion and your gestures. We know we have more and more sleep measurements. We know we have apps that know reproductive cycles. We know we have average sophisticated stress measures. We know we’re getting clinical biosensors coming more and more to the consumer. We know we are measuring energy levels. We know there’s an expanding array of vital signs and medical measurements coming. Lee: I am often quite lost. I just don’t see the excitement that I feel are ought to be in the past few years in this new data sector. Ardy: I mean everything that you just said, puts a smile on our face and that’s exactly why we think everyone is a Seqster but they just don’t know it yet. Everyone is seeking more information about their health and their loved ones’ health and that’s the simplest way to actually put it all together. Lee: I think Ardy, that’s a perfect place for us to sign out. I really appreciate, unless you’ve got anything else to say. I really appreciate you kindly taking the time to give me a product tour and answer the questions I had. Is there anything that you’d like to say before we close out? Ardy: No, if anyone wants more information, they can email us at info@seqster.com. You can also follow us on our Twitter @seqster and again, Lee, very much thank you for reaching out and having us on your show. It’s been a pleasure talking to you. Lee: I highly appreciate your time and I want to wish you luck but I don’t think luck is the right thing because I don’t think you’re needing luck. I think you know you’re on to something. You know what you’re doing and I’m sure I’m going to keep seeing you in the news. Ardy: Thank you so much. We’ll always take some Lee luck. Okay. Lee: Some Lee luck. Thank you again.